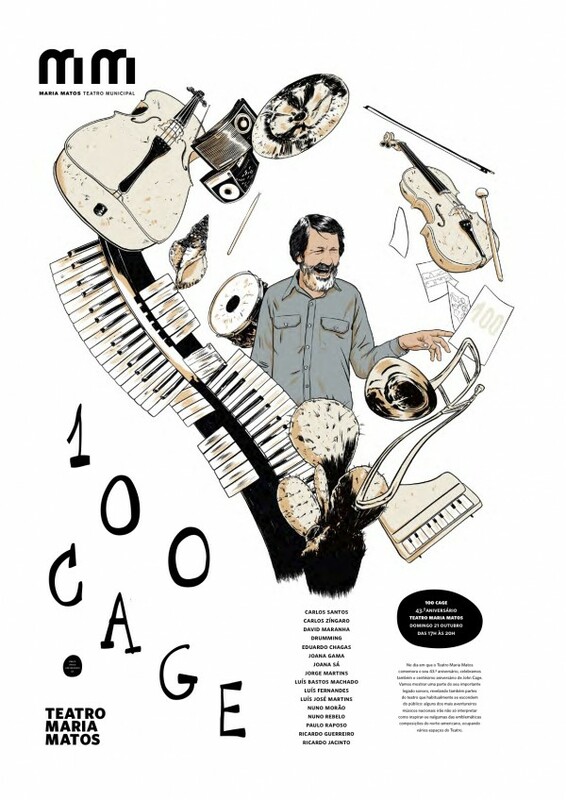 Installation commissioned by Teatro Maria Matos for the event 100 Cage, a John Cage retrospective. 33^4 is an audio installation based on some of the most emblematic concepts used in John Cage’s work. It is a system of four speakers in which one of 33 snippets (gathered from the composer’s work) with the duration of 33 seconds are randomly played by each speaker.. The snippets are divided in four categories (pitch, speech, noise and silence) and are different for each speaker. As a result there are 1185921 different sound possibilities, ranging from silence to noise or tonality (according, or not, to the harmonic conventions).